Don't miss out on this roomy home located in a private location ! This 2720 square foot, tri-level home sets on 5 acres in Reidland. 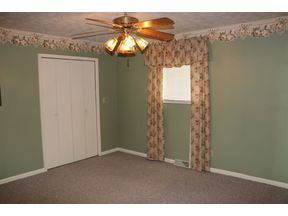 The home offers 3 bedrooms, 3 baths, living room, dining room, large family room which could be divided for a 4th bedroom. The master has 2 walk in closets and a private deck. You will have a 3 car carport and 3 outside storage areas. You will love the wildlife and spending time on this spacious property that will provide that country feel, yet just minutes from the city. A perfect place to raise your family.